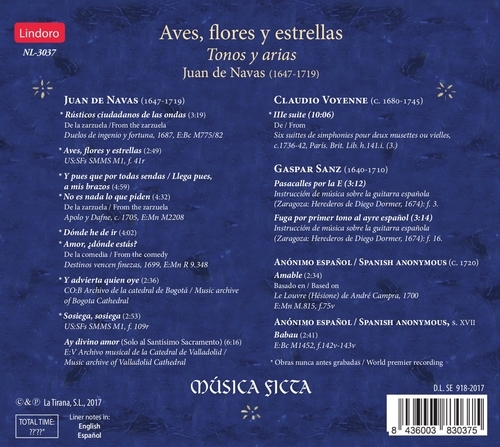 When named harpist of the Royal Chapel in Madrid in the year 1669, Juan Francisco de Navas Sagastiberri (1647-1719) had already been associated with the court and Chapel as composer and accompanist on the harp. Originally from Calatayud and from the generation that flourished after composer Juan Hidalgo, Navas followed Hidalgo’s footsteps to the point of declaring himself chosen by Hidalgo as his successor after Hidalgo’s demise in 1685. In any case, Navas officially requested Hidalgo’s Chapel position in 1688, which was granted (although not with the same salary as Hidalgo, as he had requested) and which he maintained until his death in October of 1719. 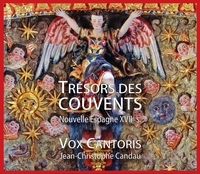 During the period as Royal Chapel harpist, Navas composed music for courtesan festivities and theatrical works, of which at least thirteen are known, even if the number of pieces that have survived intact is considerably less. In fact, only one of his theatrical productions has survived in its entirety, the zarzuela Destinos vencen finezas. 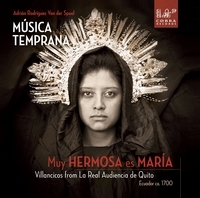 Only parts of his other zarzuelas survive in the form of tonos, tonadas, and arias that have acquired a life of their own beyond their original theatrical context. 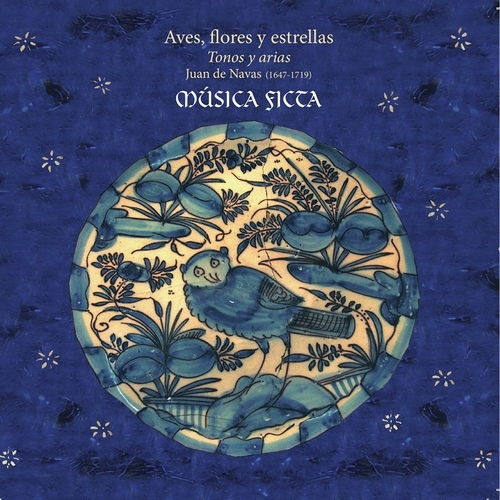 Navas emerged at the end of the 17th c. as one of the heirs, together with Juan de Serqueira, of Hidalgo’s musical style, and his pieces form a relatively homogeneous repertoire despite the introduction of more modern elements, such as the use of obbligato instrumental parts. The tono for one voice Rústicos ciudadanos de las ondas, is one of the few fragments known from the mythological comedy Duelos de ingenio y fortuna. The comedy was written by poet Francisco Antonio de Bances Candamo with music by Juan de Navas, and was performed in 1687 for the celebration of Charles II’s birthday. This tono, which makes part of the third act, is a lament sung by Arion (son of Neptune), before being thrown overboard with the purpose of calming a great storm threatening to sink the ship on which he was traveling. What stands out about this tono is its estribillo (refrain), which in a repetitive declamation style with minimal lyrical emphasis, contrasts with the melodic style of the verses. 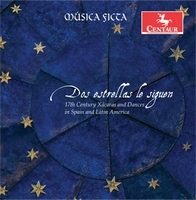 From a musical perspective, it is one of Navas’ most interesting pieces, with an emphasis on the sung declamation style inherited from Hidalgo. The rhythmic repetition and lack of ornamentation create a music-theater enchantment.